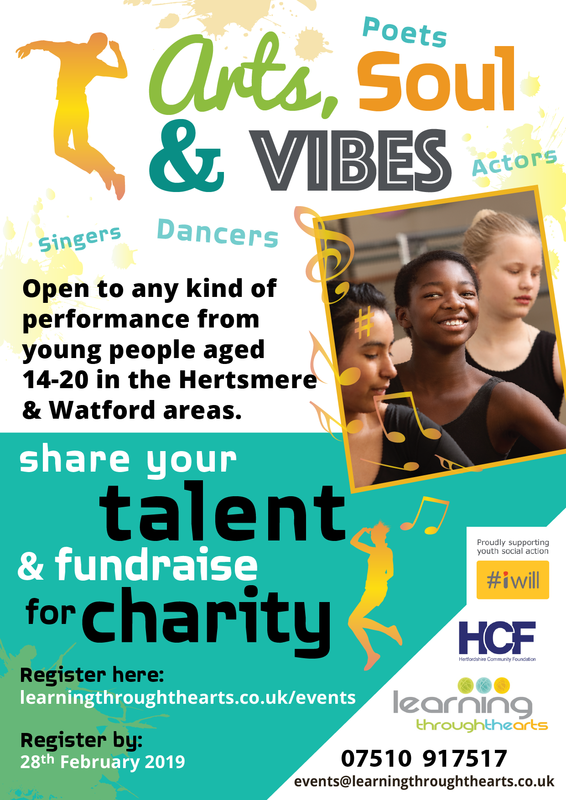 Are you an aspiring performer aged between 14-20 and live in the Hertsmere / Watford area?? Want to take part in a Talent Show that raises money for Charity?? Arts, Soul and Vibes is an exciting opportunity for Young People to share your skills and talent to organise and partake in a Talent Show that raises money for a charity of YOUR choice! Want to register? Then click the link below and fill our our simple registration form! *Please note* All interested participants under 16 will require consent from a parent/guardian.